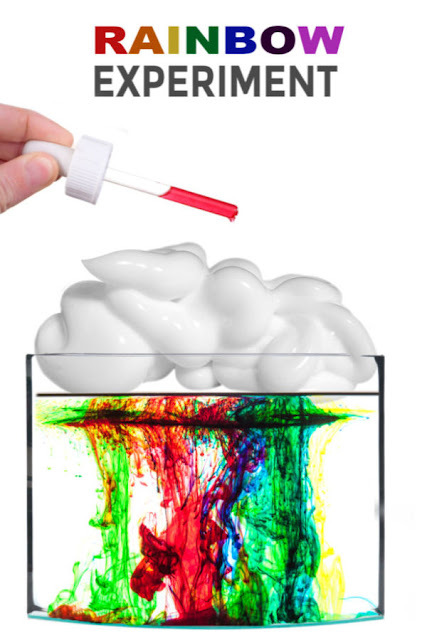 Make slime for kids using baking soda! 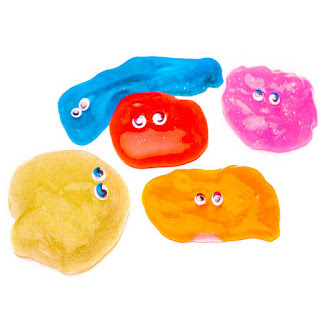 I love that this slime does not require liquid starch or borax. 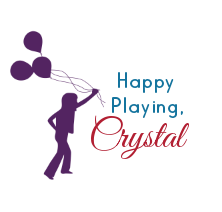 You likely have the ingredients needed to make this fun playtime on hand, and if not, well- they aren't hard to find. 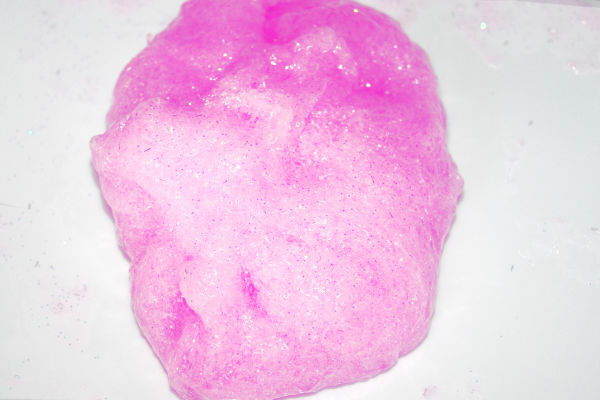 Read on to see how to make slime from baking soda! Just like any good slime you must first start with glue. Then, add baking soda and the "secret ingredient". 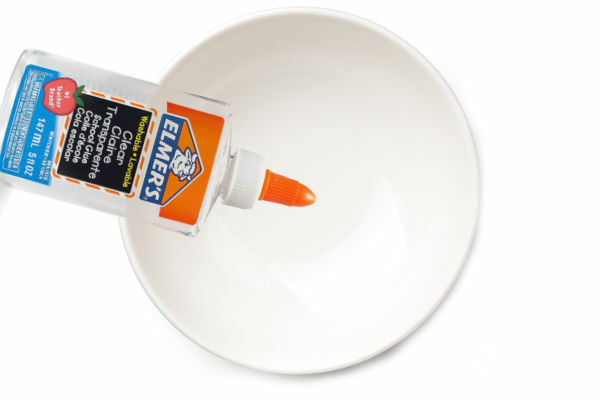 Note: You can use any variety of Elmers glue to make this recipe. However, I do not recommend substituting other glue brands, as the results may vary. The contact lens solution you are using must contain boric acid. The solution that we used can be purchased on Amazon here. 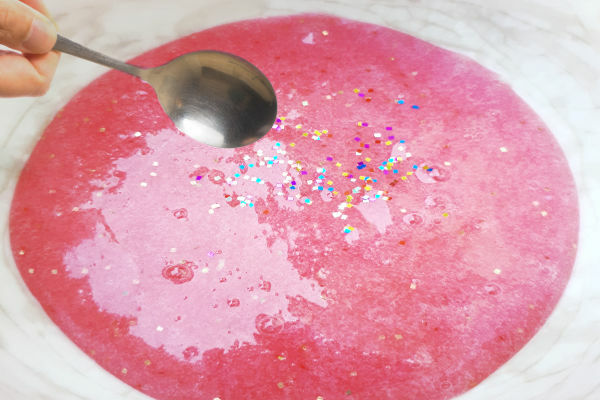 Begin by pouring 1 cup of glue into a large mixing bowl, using one bowl for each color of baking soda slime that you wish to make. 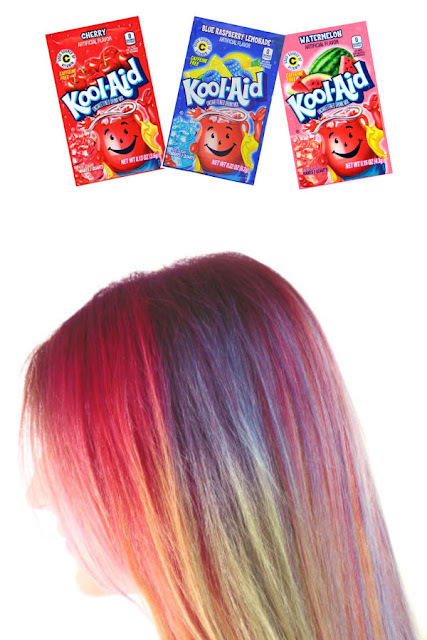 Add 3-5 drops of food coloring if desired. You can also add glitter. Add 1 tbsp of baking soda to each bowl and stir until combined. It is now time to add the "secret ingredient". In this case it's daddy's contact lens solution. Slowly begin to add contact solution in small amounts and mix, slowly adding more solution and mixing until the desired consistency is reached. The ingredients will be incredibly sticky at first. Do not worry. Continue to mix the ingredients in the bowl until the slime begins to form. Then, remove the slime from the bowl & knead it with clean, dry hands until the desired consistency is reached. If the slime is too sticky add a little more contact solution and knead it in. 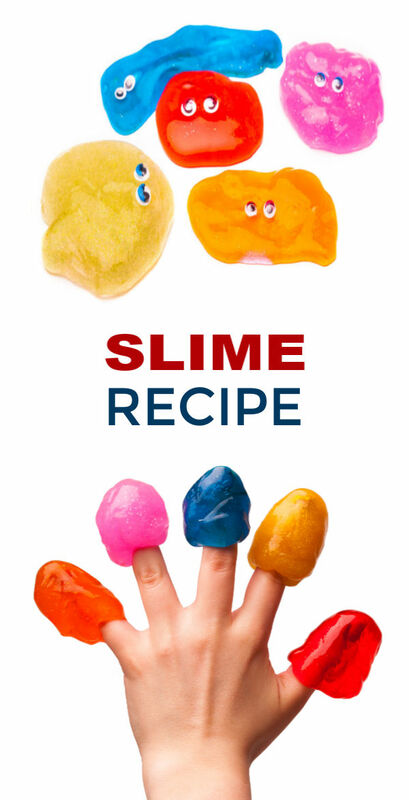 After a bit of kneading and mixing you will have amazingly fun, baking soda slime! 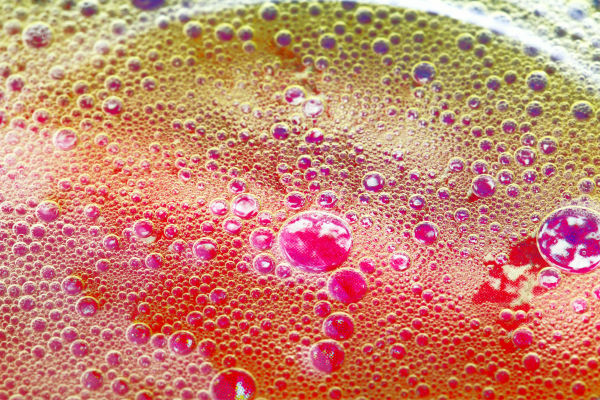 What happens if you add vinegar to the slime? It is made from baking soda.... does that mean it will erupt? Try it & see if you get volcanic slime. 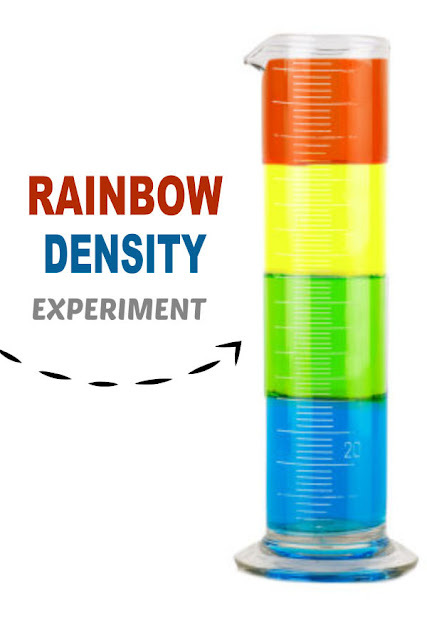 What happens if you drop a piece of baking soda slime into a cup of vinegar? Does it make a slime volcano? 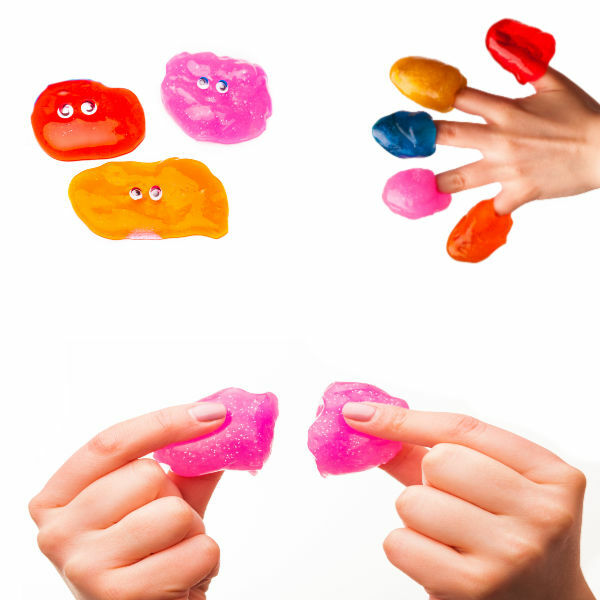 Store your slime in an air-tight container, and it can be used again & again! 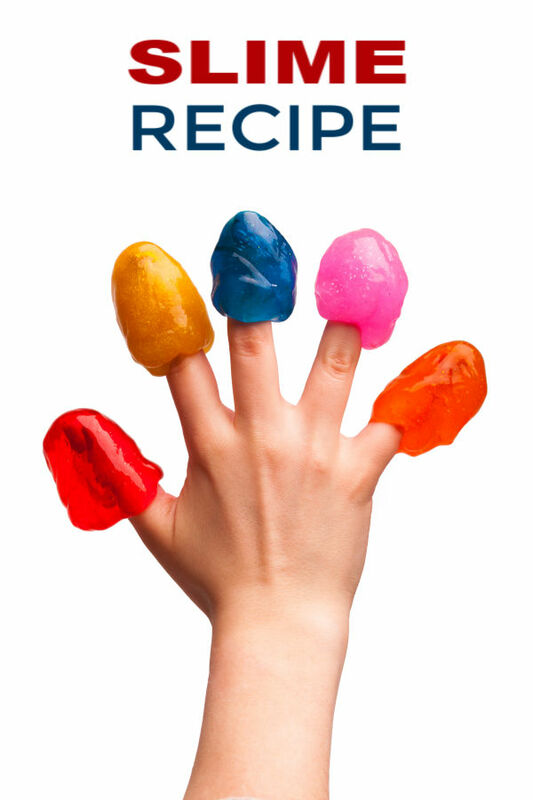 The contact lens solution that you are using for this recipe must contain boric acid. If not this recipe will not work. The contact solution that we used to make our slime can be purchased on Amazon here. Add a little more contact lens solution & mix it in! Still too sticky? Add a little more. Just be sure to add it slowly! 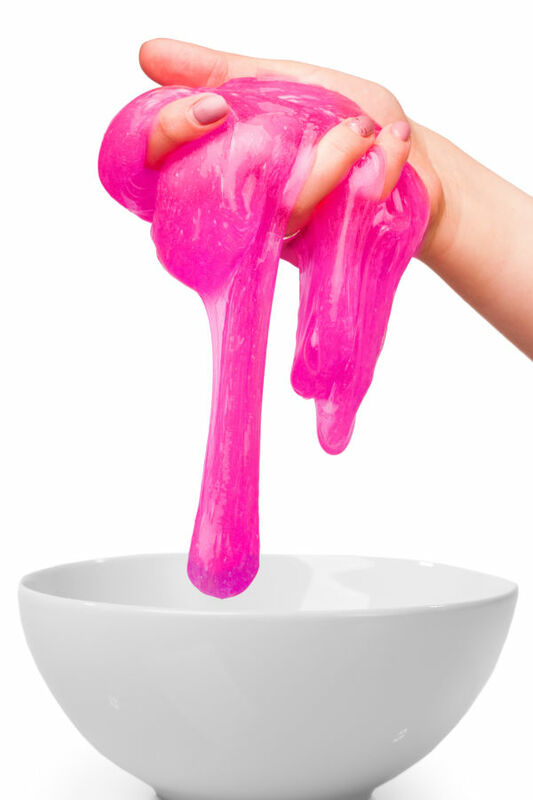 If your kids love making slime like mine do you may want to buy your glue in bulk online. We buy our school glue by the gallon on Amazon here.